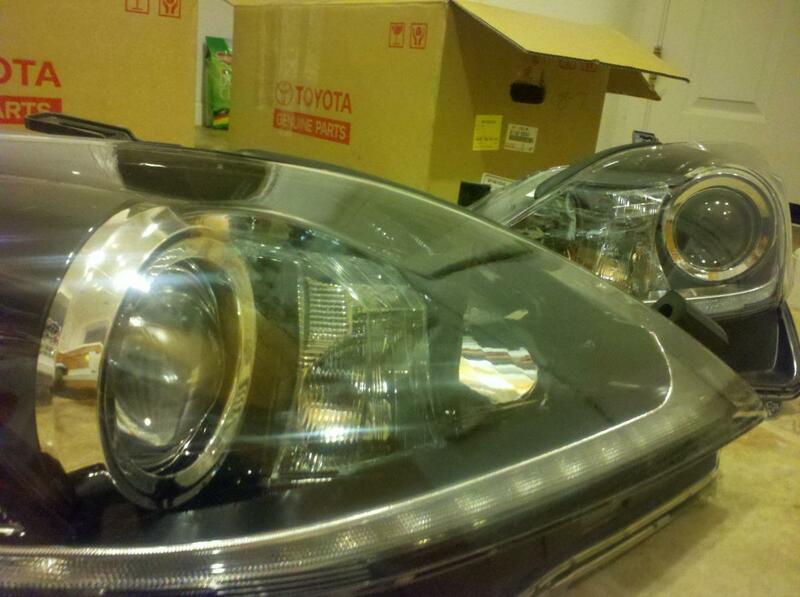 I have a set of 2013 is350 headlights w/ the led strips in good condition. Does not come with the ballast or bulbs. 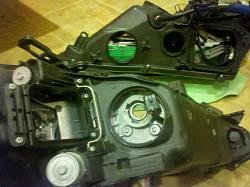 Also needs harness to the leds(been told around $25ea hookup price/30-50 reg.) 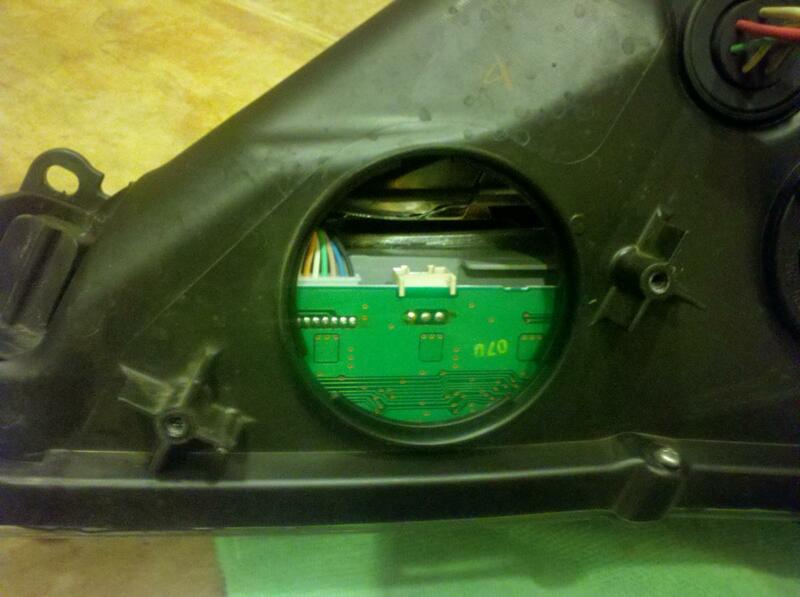 and the rubber covers to cover the bulbs in the back. ill post more pics tomorrow. selling for $900 prefer local/pickup but might be willing to ship if buyer pays shipping+paypal fees. i'm in the sacramento area. more pics added, showing the covers missing(some are interchangeable), the spring to hold the bulb(interchangeable) a pic with the missing led harness, and the ONLY imperfection on the headlights, which is a bubble from the plastic protective film on the passenger headlight. im interested. what else do i need to make it work on my car? i currently have halogen headlight on my 06. Last edited by PUREgs; 01-28-13 at 05:57 PM. I will take this if u want ship to 84058? Were the head lights open to take out the ballast? I use to live in Sac. 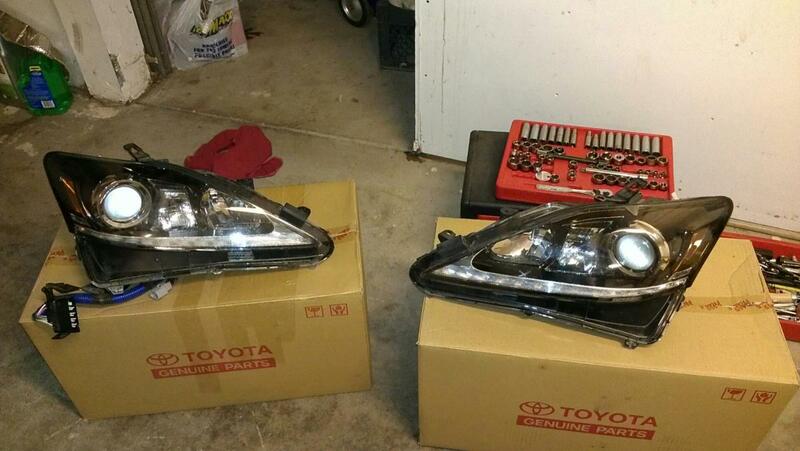 My buddy could pick up the headlights for me. let me check how much shipping will cost tomorrow. if i do decide to ship it buyer pays shipping+paypal fees. but pickups are going to have first dibs. 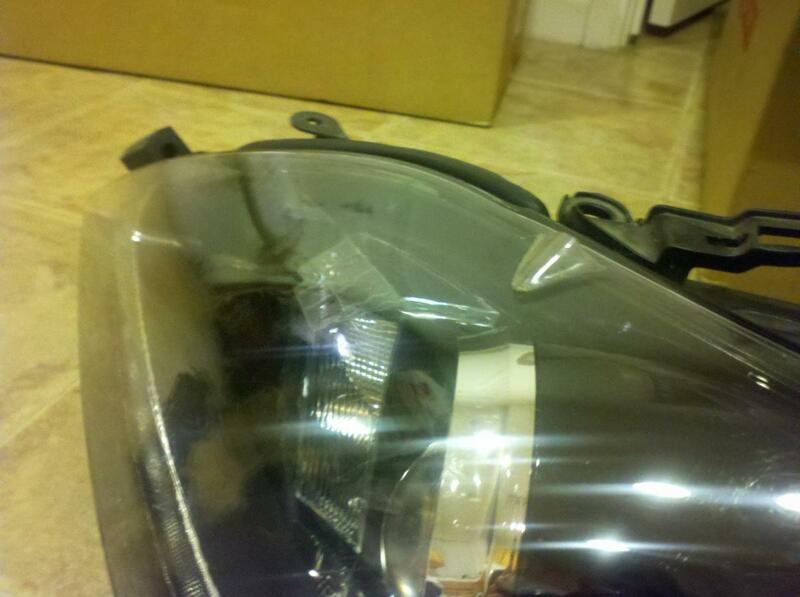 the ballast isnt located inside the headlight...............? Last edited by PUREgs; 01-28-13 at 08:27 PM. Very interested. Please PM me a price shipped to 94080, South San Francisco. Thanks. Damn looks like these are probably already sold. If not shipped to Vegas?